You’re doing an amazing job of fundraising for us and we can’t thank you enough. Massive congratulations to Greg Everett on cycling 104 miles during the night from Manchester to Blackpool to Liverpool. It was a fantastic achievement and raised £840 for the foundation. Door line group leader, Scott Elliot completed the Scouse 5k run raising £250 and congratulations to Lizzi Acker on winning the Great Halewood Bake Off. Thank you to everyone who took part in the Bake Off which raised a sweet £1,300. We’ve also had the New York raffle, thank you to everyone who bought tickets and we really hope the winner has a brilliant time! The reason you’re doing this is for children like Zac Oliver, a little lad from Shropshire who faces the prospect of travelling to America for treatment for a rare type of Leukaemia. Zac`s family were faced with a bill of over £500,000 for the treatment but that wasn’t stopping them and they managed to raise the money in a matter of weeks. Although they didn't need any financial help from Charlies Chance, we were in contact with them offering practical help on things from how to grow their appeal to speeding up visa applications. Another family we are currently helping is the family of Amber Price. Amber is currently in Germany at a clinic starting her treatment programme. Amber`s family are facing a bill of over £200,000 for Amber`s treatment and we were only too pleased to pay the clinic £10,000 to get her started. Amber is in desperate need of help so if anyone can help, here`s the link - https://bit.ly/2QnV3QH. It was also great to hear that “Super Sid”, a little lad who we helped a few months ago had been given the all clear on his return from treatment in America. We are hoping and praying this remains the case. We end this month`s Charlies Chat with the sad news that little Edie Molyneux (Spider Ede) from Wirral sadly passed away recently in Mexico. Edie had a rare brain tumour called D.I.P.G and was travelling to and from Mexico to receive treatment at a clinic over there. 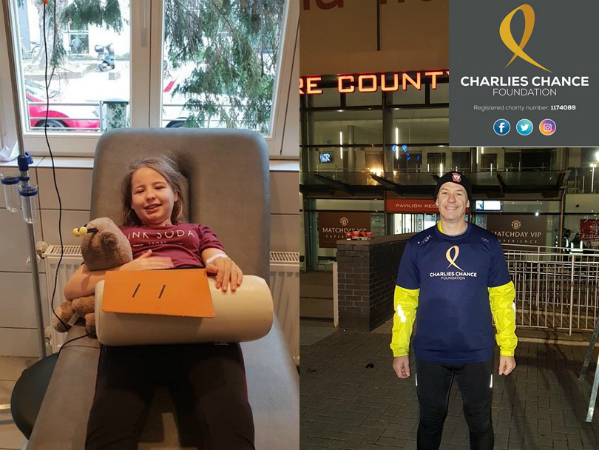 Edie was one of the first children we helped after obtaining official charity status in 2017 and everyone at the foundation is truly saddened at her passing. Our thoughts are with Stephen and Ashleigh and the rest of their friends and family at this sad time. Thanks again to everyone in the plant and beyond for the amazing support you are showing us during our year as Charity of the Year. You really are helping us to save the lives of children with cancer who are running out of options.